In our first few days in Kampala we had the opportunity to visit a Kiwuwa Foundation project based in Maganjo, an outlying slum of Kampala. The Kiwuwa Foundation runs a small but promising program for young school children who have dropped out of government schools for various reasons. James Kiwuwa explained that the “Catch Up Project” aims to get children back to their grade level with a specialized curriculum developed by Kiwuwa Foundation staff. Presently there is one section of the school that is finished and provides a learning space for the children. There are two additional sections of the structure on the ground floor ready for expansion when funds are in place with plans for a 2nd story as well. The “Catch Up Project” is just one of the community development project of the Kiwuwa Foundation. On the same day we visited an organization called Girl Up Initiative Uganda, based in a slum in the area of Luzira. We were warmly greeted with a welcome song and dance performed by the entire staff. Monica, the Executive Director and Co-Founder, and team of 15 staff members invited us into their small office space to tell us more about their incredible organization. Girl Up has several programs that empower and encourage young women to be confident self advocates. 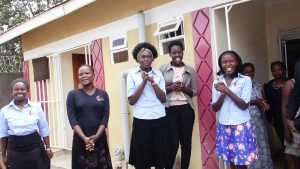 The Adolescent Girls Program empowers primary school girls to stay in school and become leaders through a yearlong life skills and sexual health training program. This program performs ten trainings a year in three schools with eighty girls in each school and educates them on sexual reproduction, self esteem, sexuality, and menstruation. Girls learn crafts skills to sew reusable sanitary pads for personal use and to sell as an income generating project. Menstruation is an issue in many developing countries because it isolates girls and prevents them from attending school – girls miss weeks of school each year which limits their success. Girl Up Initiative addresses menstruation isolation as a women and girls education issue. Ni-Yetu Youth Program is another program of Girl Up that equips both boys and girls with the correct knowledge, attitude and skills to reduce gender based violence and improve sexual and reproductive health outcomes. Thirty peer educators compiled of women, men, and individuals with disabilities reach out to local adolescents in Kampala schools to act out community issue in a Forum Theater process. In December, Girl Up developed Mazuri Designs, the economic development arm of the organization. Mazuri Designs employs three seamstresses and trains out of school girls in tailoring skills. The workshop operates according to Fair Trade principles and the sale of products help to generate income, pay for workshop supplies and materials and increase presence of the organization. Girl Up Uganda is an incredibly well organized program and we were inspired by all it has accomplished since it started in 2014. The following morning we traveled to an eastern part of the city to a leafy green area called Bugolobi. The main office of Bead for Life is located here and we were welcomed in for a meeting with the staff. Program Managers, Evelyn and Phoebe, talked with us about the history and various programs of the twelve year old organization. 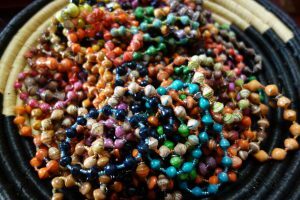 Bead for Life is a social enterprise NGO founded through the initiative of US social workers after they discovered women making jewelry out of recycled paper beads. Founders recruited the women from the slum to train others and gathered 100 women to be trained. The goal was to help women learn craft and business skills and use the bead making as a way to start other businesses. Through the years over 700 women have been trained and moved on to start their own businesses. In 2012 BFL and Habitat for Humanity partnered to create Friendship Village, an 18 acre plot with 30 homes. In a few short years all the women in the villages have earned enough money to pay for the title of their individual land and wire in electricity. Bead for Life also has a Street Business Schools for women to learn business skills. The six month program trains women in entrepreneurial skills to help them build better lives. The free training program has provided opportunity to over 16 groups of 40 women with a focus on business skills training that can be applied in community context. Bead for Life has found that 80% of women go on to start their own businesses and their incomes grow around 50%. The newest initiative of Bead for Life is the Ignite One Million project. 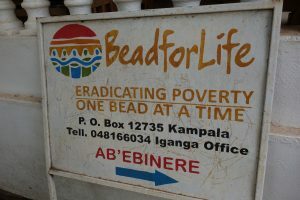 Through a series of Imagine Workshops, Bead for Life will train members of groups from other areas of Uganda and other countries around the world. The goal during the week long program is to train a network of trainers that can nurture entrepreneurial growth within their own communities. The program is an avenue in which Bead for Life shares their unique curriculum and methodologies with other organizations in Uganda and in other countries. A very worthwhile endeavor to create broad change through a long history of successes. On additional visits to the capital city later in the month we had the opportunity to visit another impactful organization that is making change through fair trade initiatives. Fashion & Compassion is a US based non-profit social enterprise organization that works with artisans in developing countries to produce beautiful handcrafted jewelry and personal accessories. The project in Uganda is based in Acholi Quarters, a slum inhabited by the Acholi people of Northern Uganda. During the reign of Idi Amin, the Acholi people fled to the capital city for safety but had limited opportunity to work, farm or create livelihoods. Many individuals were forced to find work in the local quarry which proved to be dangerous and laborious work for pennies a day. Fashion & Compassion recruited 18 women to be trained in craft production and entrepreneurial skills, giving them skills to produce products for the US market and their local community. Soon these 18 women will graduate from the program to follow their independent projects and allow opportunity for a new class of women in need of empowerment. 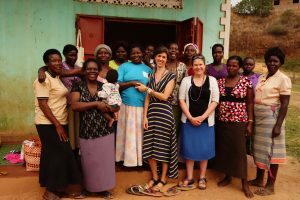 Our visit to the Fashion & Compassion artisans in Acholi was an emotional experience; we made dear friends, were lifted up in song, and witnessed the opportunity that fair trade brings to women in marginalized situations. 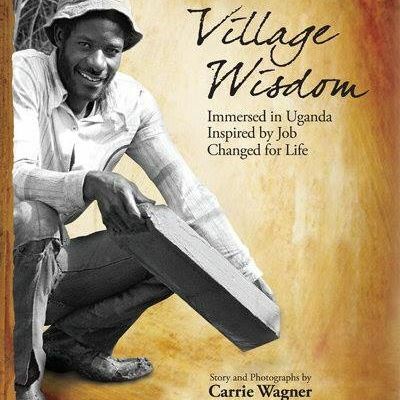 Portraits of Uganda in Asheville – Save the Event Dates! African Marketplace and Benefit Concert! Kinobe Benefit Concert – September 9th! Portraits of Uganda in Charlotte!